Making your own soda is easy and inexpensive. Best of all, you control the sweetness level and ingredients, so you can create a drink that�s exactly what you want. Using a few simple techniques, anyone can make a spectacular variety of beverages. Try Pomegranate Punch, Chai Fizz, Fruity Root Beer, Sparkling Orange Creamsicle, Honey Cardamom Fizzy Water, Sparkling Espresso Jolt, Cold Fudge Soda, Lightly Salty Caramel Seltzer, Sangria Shrub, Maraschino Ginger Ale, Malted Molasses Switchel, or Berry Vinegar Cordial. 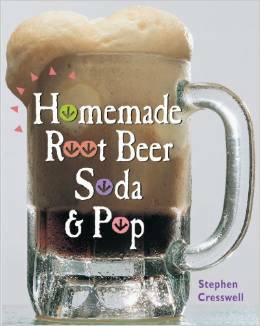 Some recipes show you how to re-create the flavors of favorite commercial soft drinks, and others show you how to use homemade soda in decadent desserts and adult cocktails. The delicious possibilities are endless!